April showers bring… temporary relief from that fine coating of pollen covering everything outside. 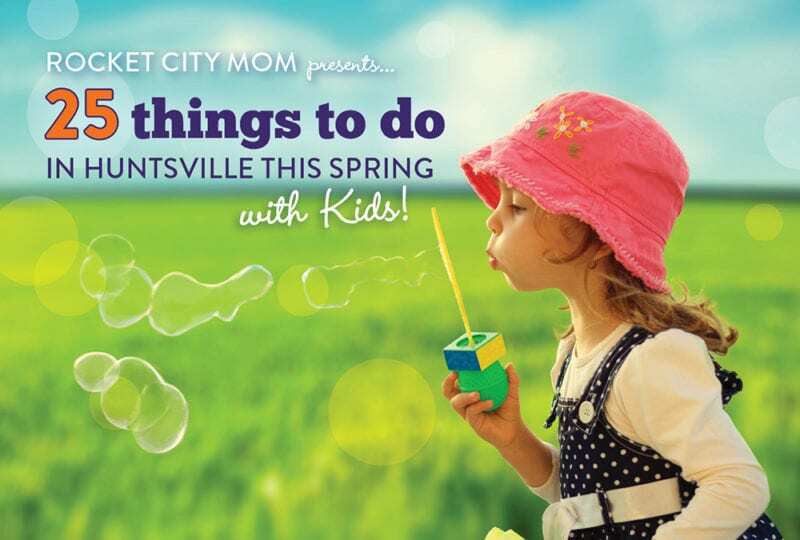 Good thing there’s lots of indoor AND outdoor fun happening in Huntsville for families this weekend! We’ve listed our favorite free and/or cheap things to do, as well as some seasonal events worth your money & time. Check our Giveaway Page to win tickets to awesome events for kids! How many things have you already checked off the Spring Must List? Find out this year’s Family Favorites Awards Winners! NOTE: It looks like typical Alabama April weather this weekend – call ahead to confirm events if it rains! Why not kick off your weekend early and listen to German oompah tunes underneath a giant rocket? This truly Huntsville experience benefit local charities and is kid & dog friendly. This free movie series kicks off with Wreck It Ralph – the movie starts at sundown, and picnics are welcome! Springtime is our favorite at Hays! Come see what’s new & enjoy nature at this guided coffee & juice walk. Kids will love the outdoor playground. Bring your 3-5 year old to explore and practice the skills your child needs for a smooth transition into kindergarten. 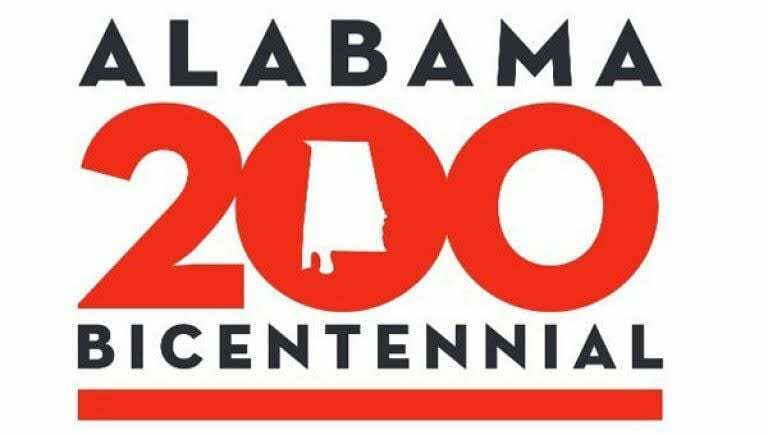 Over 140 vendor booths, food, carts & crafts, and more are found every year at this popular Spring festival recognized as one of the “Top Twenty Events in the Southeast”. Kids will love the activities & inflatables, plus the chance to sit inside a real SWAT truck. Parents will love the cool cars & food. Learn a little local history and enjoy the fresh air with these walking tours led by a knowledgeable guide. Plus they’re stroller friendly! Get the full Spring schedule here. Curious about summer camp but not sure your kids will like it? Sample some fun today with activities & tours, plus get some face time with the counselors. Everyone loves a good bargain, and these local weekend sales & markets will have plenty for Easter & Spring. This after-hours event at the new INTUITIVE Planetarium features hands-on activities for the whole family! Read our review before you go. Need a Date Night? Leave the kids to have their own fun at this Parent’s Night Out. Your little train-lover will be SO EXCITED to catch a fun ride on a historic train! Read our Parent Review, then go grab your tickets in advance online. A fun day, rain or shine. Visit the barnyard animals, experience historic skills, and learn about life on the farm during the 1800’s. Watch demonstrations and learn what attending school was like in 1918 in the new Rosenwald Schoolhouse. We LOVE this annual event! This breath-taking new exhibit at HBG is visually stunning. Enjoy glowing lanterns, Chinese arts & crafts, shadow puppets, and kung fu demonstrations throughout the Garden. Purchase advance tickets online here and save time! « Black Maternal Health Week in Huntsville	» Hop Onto the Peter Cottontail Express! Epworth United Methodists Church is also having their Jump Into Easter Festival this Saturday, April 6th, from 2:00-4:00pm. There will be a bouncy house, games, prizes, and an Easter egg hunt. Come join us for this FREE family event!